A$ 2 million grant from the Future Industries Fund has funded the establishment of the Advanced Manufacturing Industry 4.0 Hub. 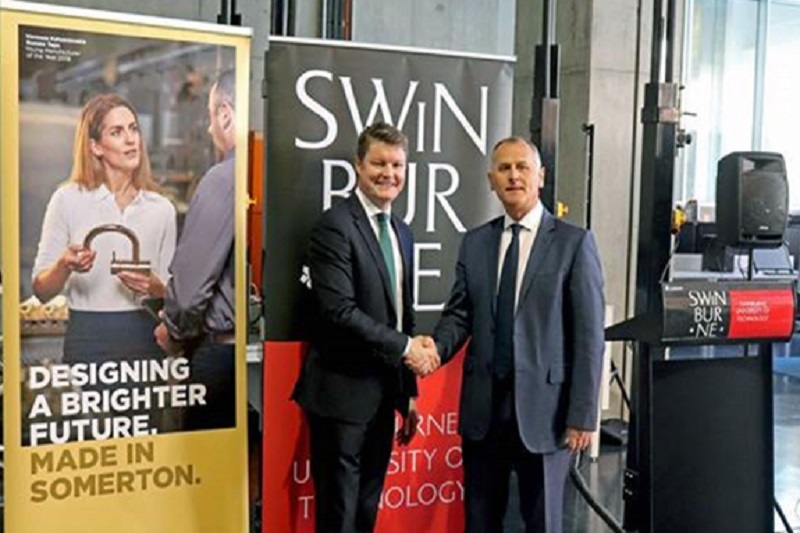 According to a recent report, the Hub is located at the state-of-the-art Factory of the Future of the Swinburne University of Technology. It will pioneer a new model of university-industry collaboration where businesses and universities not only co-create technology but also business strategy. It will work with local manufacturers to develop digitalisation strategies for their business, increase their digital maturity and provide training to help them use Industry 4.0 technologies. These technologies include artificial intelligence (AI), the Internet of Things (IoT), smart robotics and virtual reality to grow their business and innovate on their business model. The Factory of the Future is Australia’s first fully immersed Industry 4.0 facility, featuring cutting-edge and globally connected technologies that include MindSphere. MindSphere is a cloud-based Industrial Internet of Things (IIoT) operating system developed by global technology giant Siemens. Digital transformation of manufacturing is a game changer, which is why the new Advanced Manufacturing Hub is created. It will ensure that Victorian businesses are well equipped to take advantage of this technology. The hub will help local manufacturers unlock the opportunities that exist with digital technologies in order to transform their operations, and deliver cutting edge products and services. The adoption of new generation digital technologies and processes is crucial due to the highly competitive environment of manufacturing internationally. Industry 4.0 is all about the next stage of development in the manufacturing sector driven by digitalisation. Automation and the Industrial Internet of Things (IIoT) in particular are transforming the manufacturing industry. Both are presenting new business opportunities through better integration with the global supply chain. The hub will leverage on the University’s A$ 100 million investment in advanced manufacturing infrastructure and expertise. Moreover, it will be made available to local manufacturers through this initiative, which is also supported by the Advanced Manufacturing Growth Centre (AMGC) and the Innovative Manufacturing Cooperative Research Centre (IMCRC). Students, who will be working side-by side with industry and researchers in developing and co-creating new technologies and practices, will also benefit from this. With this, the University is linking vocational training and higher education to create the skilled, digitally savvy workforce of the future. New courses based on the Industry 4.0 strategy are being developed by the University. Its Industry 4.0 higher apprentice course pioneers this approach. The course is called the Associate Degree of Applied Technologies is developed in collaboration with Siemens and the Australian Industry Group.